The company was founded by Mr Pawel Adamczyk initially as a small catering facility which then transformed in the centre of beer distribution. Launching the branch office in Opoczno and making the decision to extend the assortment with spirits. Takeover of the company by Mr Dominik Adamczyk and starting the process of building strong human and operational resources. 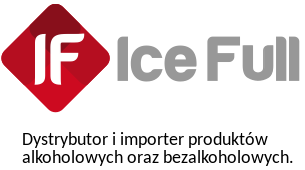 Transformation of ICE-FULL company into a commercial enterprise in order to create a strong commercial organisation with the possibility of further development. Implementation of the ERP system and an innovative mobile application making the process of placing and carrying out orders easier. The period of dynamic development of the company and business area by acquisition processes of the existing competitors . Five branches of the company were created at this time. Implementation of the transport management and accounting system. The development of logistics structures by increasing the number of the fleet. Continuing market consolidation process and thus extending the company reach thanks to creating another three branches. Devising a new development strategy of the company and the implementation of a management system based on the Balanced Scorecard. Joining the activities with the Szampańscy company operating in Lower Silesia constituted an important step in the strategy of territorial expansion. The period of improving the efficiency of key processes and strengthening its leader position among Polish distributors of alcoholic beverages. Consistent implementation of the strategy of market consolidation through the acquisitions of companies Mrugalski and Eurodex. The implementation of a number of initiatives to support the company mission of building a sustainable future for the Polish traditional trade. On 01.04.2016 the company ICE-FULL Sp. z oo took over the business from companies that were previously distributors SHZO “UNION”, ie from PPH “Dro-Deal” Sp. z oo and Eleonora Prochota Hurt-Detal. A new branch was opened in Kluczbork. In October another branch located in Bełk was opened. As a result of further market consolidation the location of the warehouse was changed from Kozienice to Radom.